The human system will begin to disorganize and die after several minutes without oxygen. It is a logical progression of thought that leads to the possibility that altering oxygen metabolism might be curative for diseases that have an oxygen deficiency component to their etiology. Both moderate and vigorous body movement and the accompanying muscle work increase oxygen demand in the cells. Evidence from research in exercise physiology demonstrates that muscular activity accelerates the rate of oxygen uptake from the blood (10,11,12,13). It has been shown that training and practice increase ventilitory threshold, anaerobic threshold and mechanical efficiency. (14,15) This suggests that regular body movement with increased breath activity supports adaptation toward increased functional efficiency in the uptake and utilization of oxygen from the blood. One early source (1896) suggests that just the muscular activity of the breath mechanism itself is enough to increase the uptake of oxygen from the blood. (16) This is not a widely accepted idea. However, most traditional systems of medicine include elaborate methods of breath practice. Some exploration of this mechanism for the absorption and utilization of oxygen is being undertaken. (17) A recent animal study demonstrates that the movement of the breathing apparatus alone may generate oxygen demand(18). Both Qigong and Yoga/Pranayama include breath practices where there is no body movement except of the breathing apparatus itself. Such research suggests that simple breathing techniques alone may increase the amount of oxygen absorbed from the blood. Individuals who are restricted in their movement due to health problems may have access to some of the benefits that have traditionally been reserved for those who do vigorous exercise. Recently there has been a tremendous amount of activity in both research and clinical practice which suggests that many deficiency disorders and degenerative diseases are, at least partially, attributable to oxygen metabolism dysfunction, oxygen deficiency or hypoxia. (21,22,23). This view is supported by many of the great names in research; Albert Szent-Gyorgi, Otto Warburg, Emmanuel Revici and Linus Pauling. The Asian systems of self applied health maintenance like Qigong and Yoga/Pranayama proposed this view and developed specific methods for application centuries ago. Supports energy (ATP, AMP, ADP) generation. Generates water as a by product of energy metabolism which contributes a major portion to the lymph supply. Supports the body’s ability to neutralize free radicals. It has been well established that the energy necessary for cell work and body heat regulation is supplied through the reaction of oxygen and glucose to form high energy phosphate bonds. (24) There is a direct relationship between oxygen demand, the impulse to breath and the basal metabolic rate (BMR, the rate that the cells in the body consume oxygen and glucose to produce water, carbon dioxide and energy). Hydrolysis of adenosine triphosphate (ATP) is accompanied by the release of chemical energy for cellular and muscular activity. Preliminary research demonstrates that ATP may be an analog to one aspect of what the Chinese call “Qi” and what the Oriental Indians call “Prana”, the vital force or life energy. The aspect of the Qi that is the “basic dynamic force of all vital function” is called Zhen Qi (Genuine Energy). (25) A study presented at the 1988 World Conference on the Academic Exchange of Medical Qigong revealed that blood ATP content increased with exercises which cultivate the Qi. (26) When the mysterious practice of Qi emission was performed the subject’s ATP was found to have decreased. The simple methods of Qigong practice, movement, breath practice moderated with concentration, relaxation and intention may bring a primary substrate of Qi or Prana production, namely oxygen, into the body’s energy metabolism cycle. This chain of events is called the “cycle of the transformation of energy” by the chinese. (27) It is likely, however, that this is only one of the components of the broad array of possible energetic mechanisms involved in acupuncture, Qi Gong and other oriental health practices. However, it is this same basic formula, disguised in the vocabulary of Western science, that is used in modern physiology. The Chinese knew about circulation of the blood approximately 2000 years before William Harvey described it in 1616. (25,28,29) They knew about the energy generating relationship of food and air 2300 years before the elaboration of the Krebs cycle. (25,28,29) The simplicity of the Chinese formula encourages the use of the movement and breath as a health enhancing factor while the complexity of the Western scientific formula tends to mask the importance of the breath and makes the benefits of simple breath practice less access able to the average health seeker? ATP drives the activity of every cell. Therefore, immune function as well as the production of immune resources (white blood cells, lymphocytes, t-cells, killer cells, etc) are indirectly dependent on oxygen consumption. These activities become deficient in individuals who are unwell. It has been shown that exercise can mobilize the effect of natural killer(NK) cells. (31) In individuals who exercise so vigorously that they exceed the aerobic level and cross the anaerobic threshold immune function is decreased. (32,33) Both suggest that oxygen deficiency leads to decreased immune function and that moderate exercise increases immune function. In his research, Nobel Prize recipient Otto Warburg found that oxygen deficiency was typical of cancer cells. (34) There are numerous studies that associate reduced oxygen intake with increased mortality (19,20) and reduced resistance to disease. In studies with elders immunodeficiency was found to be one of several consequences of reduced oxygen metabolism.(35). 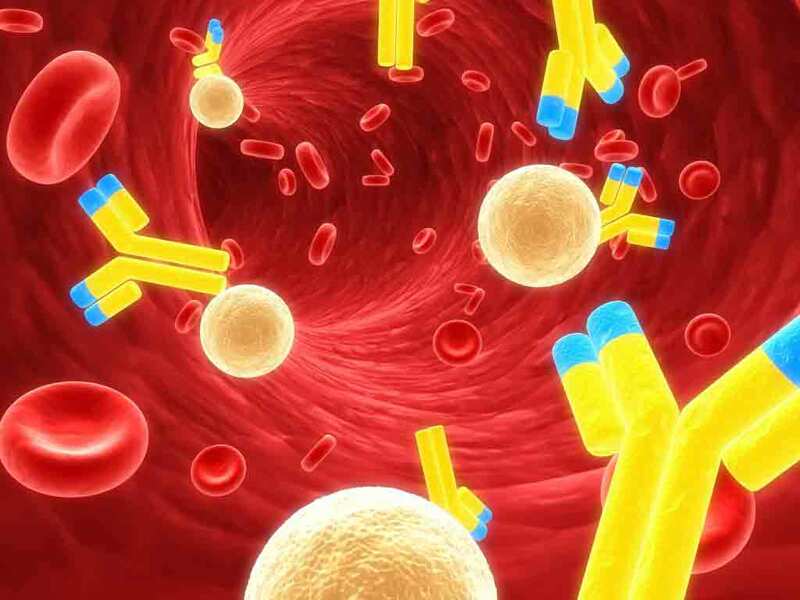 Blood studies on patients with AIDS revealed, in addition to deficient immune capability, low concentrations of Co enzyme Q10, a co enzyme present in all healthy cells. 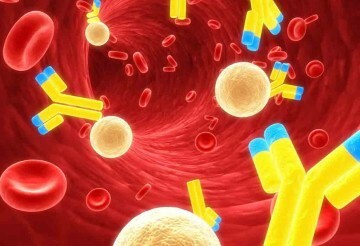 The patients were administered CoQ10 and their symptoms as well as blood immune factors improved. (37) Co Q10 apparently improves the ability of oxygen to produce ATP. Both germanium and Co Q10 enhance the ability of oxygen to support immune function with the implication that increased oxygen through Qigong or Yoga/Pranayama may have a direct impact on immune deficiency states. There are multiple factors that modify oxygen demand and uptake besides the cell work of body movement and organ function. Such factors include the effects of chemical and environmental stress caused by foods, water and airborne pollution. Emotional, relational or career stressors, the stress of injury and the stress of infection also effect the body’s ability to absorb and utilize oxygen. Accumulation of these effects can negatively impact on oxygen metabolism and precipitate functional imbalances in the human system. The normal activity of energy metabolism creates a certain number of by-products. These molecules are called free radicals. With the impact of the above mentioned stressors greater amounts of free radicals are produced. All normal molecules have paired electrons in their outer electron orbits. Free radicals are unstable molecules with an unpaired electron in their outermost electron orbit. In an effort to return to a stable state these renegade molecules steal electrons from healthy molecules causing tissue damage and aging. The body produces a number of antioxidant enzymes, superoxide dismutase, catalase, glutathione peroxidase and methione reductase, whose job is to neutralize the free radicals produced in normal energy metabolism. However, in an imbalanced or unwell system demand for antioxidant enzymes is high and natural productivity, due to pathology, may be low. When slow, deep breathing and moderate body motion is activated there is an increased demand for oxygen molecules which are taken up from the blood. The potential for free radicals to bond with this available oxygen, neutralizing the free radical population, may be greatly accelerated when regular Qigong or Yoga/Pranayama is included in a person’s daily health routine. There are a number of strategies for resolution of oxygen deficiency disease (ODD) including the use of antioxidant nutrients (Vitamins A, C, E and selenium), antioxidant enzymes, coenzyme Q10, germanium and germanium bearing herbs and hyperbaric oxygen. There is, however, nothing more available, inexpensive and obvious than oxygen itself taken in maximum daily doses through moderate exercise and breathing exercises. In de laatste twee decennia, hebben mind–body interventies (MBIs) empirische steun en erkennig gekregen van mentale health professionals. Enkele MBIs, zoals Tai Chi en Qigong, hebben een sterke fysieke component, anderen zoals yoga/meditatie en mindfulness hebben ademhalingsregulatie technieken en de relaxatie respons (RR) zijn voornamelijk sedentair. Ondanks de variabiliteit in deze technieken, lijken ze allemaal diverse psychologische voordelen op te leveren voor gezonde en klinische populaties, zoals de reductie van waargenomen stress, de verlichting van depressie, afname in angst of helpt het in omgaan met chronische ziekten. In de context van onderzoek naar MBIs, de meest onderzochte transciptiefactoren zijn degene die geassocieerd zijn met stress en ontsteking. The sleutel transcriptiefactor is nuclear factor kappa B (NF-κB), die geproduceerd wordt als stress het sympatisch zenuwstelsel activeert. NF-κB vertaalt stress in ontsteking door verandering van genen die coderen voor ontstekingscytokinen. Lagere activiteit van NF-κB suggereert verminderde ontsteking. Stress kan worden beschouwd als een lichaamsreactie op gebeurtenissen die worden gezien als een gevaar of uitdaging. Deze reactie kan leiden tot een gezondheidsrisico wanneer stress ernstig is of als het plaatsvindt over een lange tijdsperiode zonder adequate coping mechanisme. Er is gevonden dat blootstelling aan ernstige stressoren een ernstige invloed kan hebben op het lichaam en kan leiden tot schadelijke veranderingen in zijn biologie, zoals afname van grijze massa in meerdere hersengebieden. De effecten van stress gaan verder als de hersenen en kunnen worden gevonden in onze genen in de vorm van CTRA (Conserved Transcriptional Response to Adversity). CTRA is een gemeenschappelijke moleculair patroon dat gevonden werd in personen blootgesteld aan verschillende typen adversiteiten, kanker diagnose, trauma en lage socio-economische status. De primaire eigenschap van CTRA is de stimulatie van pro-inflammatoire genen leidend tot sterke ontsteking op celniveau. Terwijl acute ontsteking een kortdurende adaptieve respons van het lichaam is, die de activiteit van het afweersysteem verhoogt om verwondingen en infecties te bestrijden, is chronische ontsteking maladaptatief, omdat het persisteert terwijl er geen actueel gevaar voor het lichaam aanwezig is. Chronische ontsteking is geassocieerd met verhoogde kans op sommige vormen van kanker, neurodegeneratieve ziekten, astma, artritis, cardiovasculaire ziekte en psychiatrische kwalen (e.g. depressie en posttraumatisch stresssyndroom). De secundaire eigenschap van CTRA is omlaag reguleren van antivirale en antilichaam-gerelateerd genen, die geassocieerd zijn met ontvankelijkheid voor virale infecties, zoals herpes simplex virussen, HIV-1, Epstein-Barr virus, cytomegalovirus en Kaposi’s sarcoma. De onderliggende mechanismen worden niet volledig begrepen. Slavichen Irwin suggereren dat omgevingsstressoren, die een fysieke of sociale bedreiging kunnen zijn, eerst hersengebieden activeren geassocieerd met pijn, en erna projecteren in lagere regionen die ontstekingen moduleren via de hypothalamus-hypofyse-bijnier as en het sympatisch zenuwstelsel. Het is zeer waarschijnlijk dat CTRA een belangrijke rol speelde in onze jager-verzamelaar prehistorie, aangezien het vecht-of-vlucht respons verbond met pro-inflammatoire genexpressie hetgeen bescherming bood wanneer er een hoog risico was op bacteriële infecties van wonden. Het afweersysteem kan zich toentertijd aangepast hebben, maar in de moderne samenleving hedentendage, waar stress voornamelijk het resultaat is van psychologische bedreigingen, is deze respons mal adaptief omdat het ontstekings-gerelateerde ziekten bevorderd, zowel psychiatrisch als medisch. De meeste studies (81%) die de activiteit van ontstekings-gerelateerde genen en/of NF-κB, een sleutel transcriptiefactor die de expressie van ontstekings-gerelateerde genen controleert, vonden een significante down-regulatie na beoefening van MBIs, hetgeen kan worden begrepen als de reversie van de moleculaire handtekening van de effecten van chronische stress. Een miljoen Nederlanders hebben stress en last van burn-out klachten. Vooral koks, artsen, juristen, leerkrachten in het basisonderwijs en managers in de zakelijke en administratieve dienstverlening ervaren een hoge werkdruk. Hoe kun je als bestuurder zelf de signalen herkennen van een medewerker die in de problemen dreigt te komen? Wetenschappers noemen in een artikel in de Harvard Business Review een vijftal punten waar een manager naar kan kijken. Zo heeft hij of zij tenminste een graadmeter voor hoe het gaat met werknemers. Daarbij lieten ze zich inspireren door het medische protocol APGAR waarmee de gezondheid van pasgeborenen wordt gecontroleerd. Verschijning (appearance): Hoe ziet de persoon eruit? Lijkt iemand erg moe of is iemand opvallend veel gewicht verloren of aangekomen? Prestaties (performance): Een afname van de prestaties van de werknemer over een langere tijd kan een verband hebben met toenemende stress. Tegelijk kan een geforceerde poging om juist te veel te doen ook een signaal zijn dat er iets aan de hand is. Groeistress (growth tension): Lijkt een persoon verveeld te raken of juist te verdrinken in het werk bij nieuwe uitdagingen? Iedereen ervaart dit anders, maar bij sommige reacties is het nodig om bij te sturen. Controle over emoties (affect control): De meeste mensen kunnen hun emoties onder controle houden op de werkvloer. Wanneer iemand dit niet lukt en iemand zware stemmingswisselingen doormaakt, kan dit een signaal zijn van psychologische druk. Relaties (relationships): Bij werknemers die gestresst zijn, kunnen relaties op het werk verslechteren waardoor bijvoorbeeld sociale isolatie ontstaat. De onderzoekers benadrukken dat bij elk punt niet direct slechte en goede scores te maken zijn, maar dat het een goede manier is voor elke organisatie om informatie te verzamelen en een gesprek te starten met de werknemer. Ze geven als voorbeeld dat een medewerker tijdens een langere periode zelf scores kan geven op de afzonderlijke punten om aan te geven of het beter met hem of haar gaat. Meditatie en yoga zouden moleculaire reacties in het lichaam kunnen veroorzaken, die tegenovergesteld zijn aan die van stress. Dat suggereert een verzamelstudie door onderzoekers van de Engelse Conventry University en de Radboud Universiteit. Het onderzoek verscheen vrijdag in het wetenschappelijke tijdschrift Frontiers of Immunology. Voor het onderzoek zijn zogenoemde ‘mind-body interventions’ onderzocht, zoals meditatie, yoga en Tai Chi. Deze worden vaak gezien als manier om stress te verminderen en gaan uit van het idee dat de geest invloed heeft op het lichaam. Hoewel dit idee over het algemeen bekend is, is volgens de Radboud Universiteit nog weinig bekend over het effect van mind-body activiteiten op biologische mechanismen bij stressreacties. 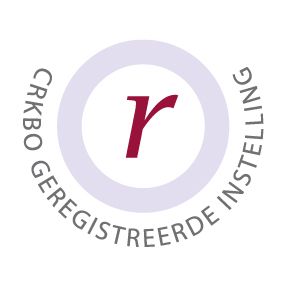 Volgens het onderzoek veroorzaken mind-body interventions een lagere productie van het molecuul NF-kB en eiwitten genaamd ‘cytokines’, wat de kans op ontsteking gerelateerde aandoeningen vermindert. Bij stress is het tegenovergestelde aan de hand: dan worden deze stoffen juist vermeerderd in het lichaam. Het onderzoek is een verzameling van achttien al bestaande onderzoeken die zijn uitgevoerd over een periode van elf jaar. In totaal bevatten deze onderzoeken 846 deelnemers. De uitkomsten van de achttien onderzoeken zeiden allemaal iets over de werking van genen die eiwitten produceren en zo de biologische samenstelling van het lichaam en het immuunsysteem beïnvloeden (genexpressie). Zowel ervaren als non-ervaren beoefenaars van de mind-body interventions werden onderzocht. Volgens de onderzoekers is nog onduidelijk of andere activiteiten of een bepaald soort voeding dezelfde moleculaire effecten teweeg zouden kunnen brengen.